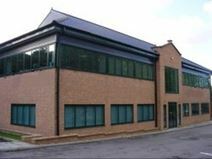 A selection of offices of various sizes is available to let in this modern building, strategically located in the vicinity of the motorway network, which offers easy connections to the major cities in the surrounding area. These office spaces are flexible and can be tailored to accommodate your needs and offer an ideal working space. The building is provided with a full range of facilities and services, including high speed internet connection, advanced telecommunication technology and parking facilities. This centre has a different take on the business park setting, with more of a village atmosphere, in a rural setting. The location is just off the A557 Weston Point Expressway and also has good access from the A56. 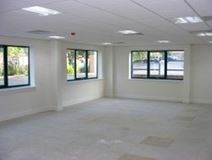 Offices and laboratories here can be tailored to client’s requirements, and flexible licence agreements are available. Reception, security and extensive car parking onsite are among the services available. A selection of offices and open-place spaces is available to let in this modern building in Runcorn, in proximity of the motorway network. Available in various size, these office spaces are provided with CCTV and alarm security systems, 24/7 access, disabled access, parking facilities, answer services and all the services needed to run a successful business. This modern building consists of offices and open-plan spaces of various size to accommodate needs of small and big companies Provided with parking facilities, CCTV and alarm systems, 24/7 access, disabled facilities and answer services, they represent an ideal working environment.